This week I wanted to take a little “time out” and do a special edition of all these great new flavors that are out from past vendors that I’ve reviewed. These are all sure to be hits and this is one article you will want to read the entire way through. I think it’s a must as a reviewer to keep on top of some of the things the great vendors keep coming out with. I have one seasonal one that I know most of the people I’ve talked to are wishing it wasn’t so seasonal!! Some vendors people are in literal anticipation of each next release. I love that people get so excited about good eliquid!! I’m even more excited that I get to try and share my views and hopefully get some of YOU interested in flavors you either haven’t seen or maybe just after reading want to finally try!! Now, let’s get this thing kicked off with a local vendor who has just finally started to wholesale outside of the Pittsburgh area recently…Zuro. If you don’t know this name, you probably should just write it down now. Zuro’s Milk was a HUGE draw in the Pittsburgh area and a ton of folks who tried it needed to have more shipped to them once they started into it if they weren’t from around here. 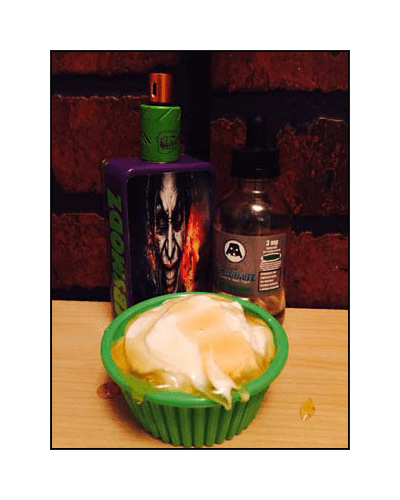 The cream base and flavorings he uses in his eliquids are unique, but most of all they are smooth and delicious. Zuro’s Pumpkin is the most recent release. Pumpkin is one of those flavors that you either get…or you don’t. Well, Zuro slam dunks it. He blends the pumpkin and spices so evenly with the crust flavoring and touch of cream that you swear you are eating a slice of homemade pie. On the inhale, a smooth and scrumptious pumpkin flavor that is nicely spiced. The crust flavor is in the background, but you can taste it especially right after the exhale which is where I get an extra shot of cream as well. This is a very pleasing pumpkin flavor that I would recommend to EVERYONE!!! I know I will have trouble keeping it in stock and when the “season” ends. Everyone that has come into the shop-pumpkin fan or not-has comment about what a perfect blend from smelling the eliquid to tasting it in a tank or using an RDA. SCORE!! Zuro’s Pumpkin has a mild throat hit and great vapor production. admit that I loved this one every bit as much as Zuro’s Milk. I went through most of the first 60ml pretty quick, but reserved some just to have it for later. I do that sometimes. The inhale is such a nice, deep, rich cream flavor. It’s so full bodied that it has an almost butternut undertone to it. The exhale is full of flavor and very smooth. This is another all day vape…all week vape for that matter. Just roll with it! I also filled the Atlantis 2 up and ran it around 50 watts for awhile. It tastes just as amazing. If you are a cream fan, no one uses a better cream base than Zuro. If you need something different, let Private Stock take your palate somewhere divine!!! 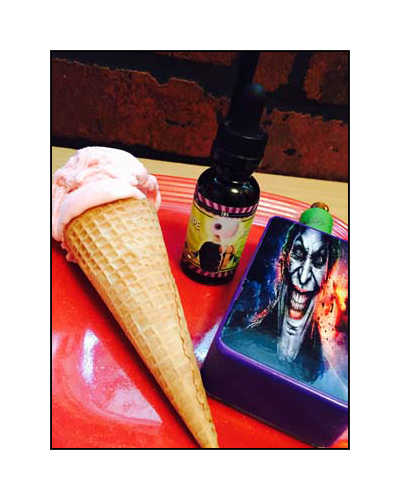 Zuro’s blends are 70vg/30pg and come in 30ml@$19.99 or 60ml@$34.99 at most B&M shops. Some shops carry the 120mls as well. They are available in 0mg, 3mg, and 6mg. Ludicrous Speed is one of the most amazing eliquids I’ve tasted to date. It had one of the longest runs yet of any flavor. I started out by dripping in a Troll RDA with a .25-ohm coil build on an unregulated SBS Modz. It was amazing. The inhale is a sweet honey and a smooth yogurt and it just almost “melts” in my mouth. This is an experience vape because I literally just want to keep experiencing it. It has yet to get old!! The exhale has another burst of honey and it almost seems to have a fruity note to it from time to time. This is just one you have to try out for yourself. I put it in a Herakles Tank with a .6-ohm coil and used it on one of my unregulated Gator Boxes. I vaped it like this for quite awhile too. The flavor was just as smooth and delicious. This is refreshing. GET SOME. Ludicrous Speed is a 70vg/30pg blend available in 0mg, 3mg, 6mg, and 12mg. It retails for 15ml@$12, 30ml@$22, and 120ml@$80 online at www.theschwartzeliquid.com. 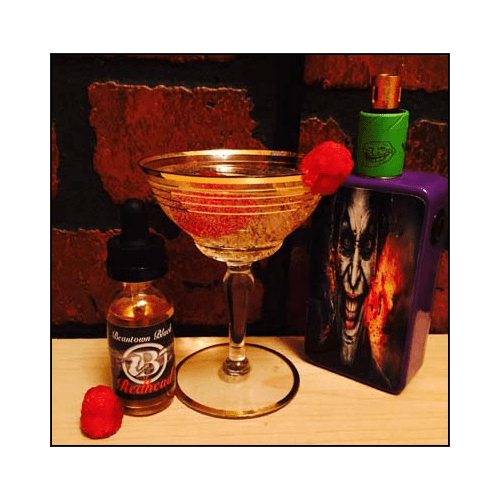 Ok, so I admit I LOVE Redheads…or Redhead eliquid from the Beantown Black line. This new release is going to be a hit for sure. Who knew ginger ale could be so smooth and still have that fizz? It is possible, but you have to pick up a Redhead to experience this bliss!! On the inhale, I taste that smooth fizz and delicious ginger ale flavor that I expect from picking up a mug and taking a sip. This sip is a little different because it’s followed by an instant note of raspberry and a subtle hint of lime prior to the exhale. These flavors flow into the exhale and then as they combine, they gradually fade with the exhale. This is a solid flavor true to its description in not only flavor, but experience. I would recommend this to everyone. Yep, everyone!!! I used my SBS Joker Modz with a Troll RDA build to a .3 ohm and loved it!! I am confident it would be just as amazing in any Sub-ohm tank or on a regulated box mod as well. I’ll be draining the rest of the bottle that way and can’t wait……! Redhead is a 67vg/33pg blend is available in 0mg, 1.5mg, 3mg, and 6mg. It retails at $19.99 for a 30ml at www.beantownvapor.com. The next eliquid is a collaboration between Beantown Vapor and G2 Vapor. I know Beantown is a solid vendor and have only heard the best things about G2 as well, so I’m pretty sure Mr. Oh’ Cookie Face is going to knock it out of the park as well. On the inhale, a creamy strawberry flavor that swirls into a butterscotch yumminess. It is truly a butterscotch cookie being washed down with a strawberry milkshake. Your taste buds will want to try this one out-trust me on this one!! On the exhale, a pleasant combination of strawberry with a pop of butterscotch in and out. The vapor production is great and the throat hit is mild. Mr. Oh’ Cookie Face is a MaxVG blend available in 0mg, 3mg, or 6mg in 30ml for $19.99 at www.giantvapes.com. Vape Orenda. I had an unfortunate accident with my SBS Modz right after I snapped the photo. I had been vaping it on this for awhile, but had yet to write the review out. I switched the Troll RDA over to my Lotus LE80 box mod and ran it around 45 watts. On the inhale, I taste a perfectly creamy strawberry ice cream. The sugar cone is right there with it too and it’s like a crystallized sugar. I like the subtle notes of strawberry, how smooth this vape is, and how the flavors flow throughout the exhale. This 70vg/30pg blend has a nice vapor production and a mild throat hit. It’s available in 0mg, 3mg, 6mg, and 12mg for $22/30ml at www.giantvapes.com. This is a great group of vendors to put in a mix and review. They all released a solid, refreshing, and unique eLiquid that made my palate dance with delight!! If you would like to grab the Zuro’s blends, Vape Orenda, and Schwartz all at the same time, you can email me at sweethomevaporcopa@gmail.com and I will help you out!! I need to work on getting Beantown Black and the Beantown/G2 Vapor in stock because these two blends definitely belong on the shelf! !